Spring! Spring! Palm Sunday Passover . . .
An atmospheric switch flicked. Palm Sunday passed, borne up on bright skies, extending a temperature nearly touching eighty Fahrenheit. The wind, at last, was less generous, bringing stillness. 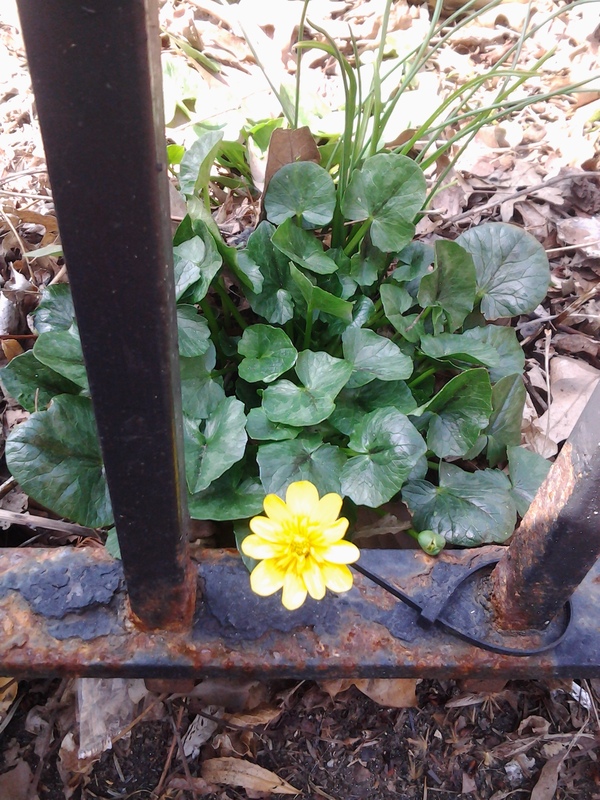 Past high noon, along a fence, I did see a single yellowed bumblebee buzz a shaded Marsh Marigold (Caltha palustris). 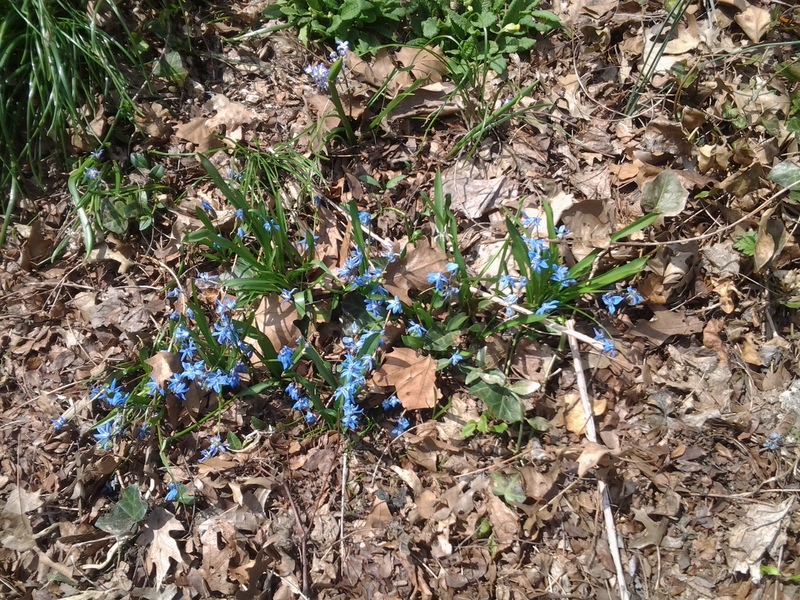 Beauty along a margin, preceding formal plantings, as nearby some nearly pale violet Scilla siberica (Siberian Squill) spread on a backdrop of bark brown soil. 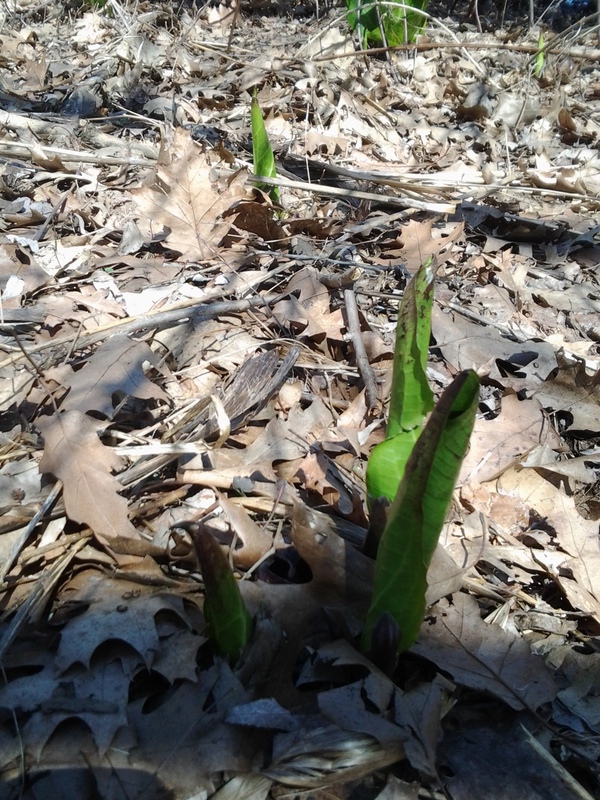 Farther afield, yet on the west side near the Hudson, the Eastern Skunk Cabbage (Symplocarpus foetidus) has appeared. No stinky foot in odor present here to my senses. This bloom, to my eyes, is the actual and sudden appearance of first thick leaves forming narrow green vases affixed to the forest floor. 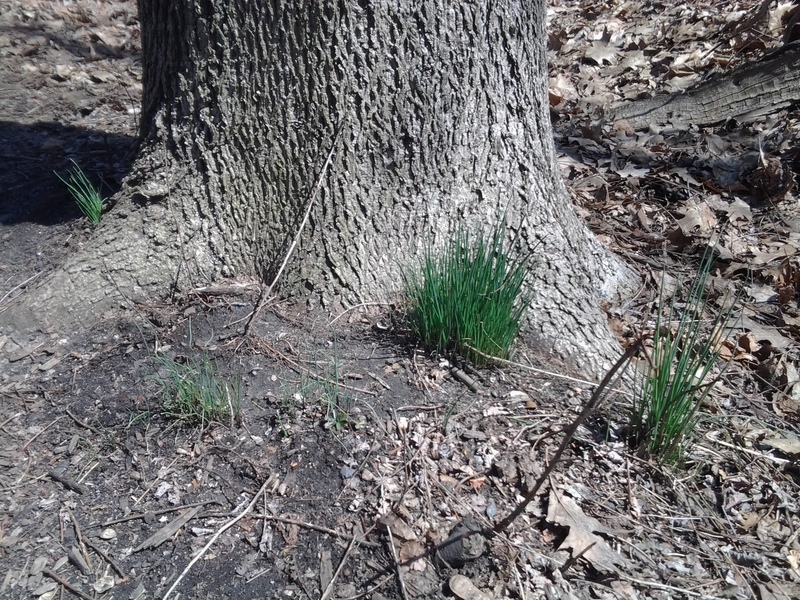 Exceptional greenery became apparent, too, in patches of the Onion Grass chive (genus Allium), found often at the base of trees, standing in thatches at a full state of lushness. 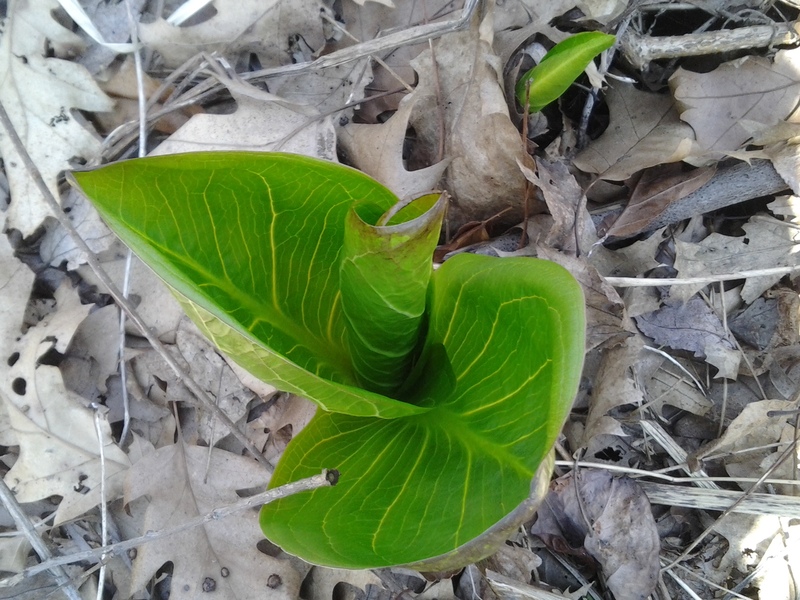 Eastern Skunk Cabbage April 2014. Spring has begun to passover our latitude; at last.